What is your overview of the business climate in Ethiopia? What is your outlook for 2014 and onward? The Ethiopian economy has started from scratch. Twenty years ago in Ethiopia, private company owners were not allowed to have more than 500,000 Ethiopian birr legally. The free market was introduced only twenty years ago. It takes time for it to grow and now in the last two or three years we have seen lots of foreign direct investment and more Ethiopian entrepreneurs are coming up as well. The government is investing heavily in infrastructure and some heavy business industries. We see that we are on the right track going forward but the challenges still remain because we are primarily dependent on primary commodities. Some small local industries are now coming up with value-added products. We are on the third year of the five year strategic growth program which is the last agriculture-led program. We are hoping that the industry will take over starting from the next three years onward and to that, if all our basic necessary inputs for the industries like energy, roads, and telecom are in place, which the country is investing heavily in, I think we have a very promising future. One example is that a big investment is going on in railway transport which is going to be using only electric. This is sourced from hydro-electric so it’s all sourced here and our electricity prices are very cheap compared to any other country. So far, we are exporting our products to Djibouti. We have to track all the way and we import fossil fuel, so land transportation costs are so high and it keeps us way behind our competitors. If we are able to take our commodities by train with less cost, then that will give us extra power to compete. In two or three years this will open a door for us, particularly for commodity producers and traders. 2006 compared to last year will not be very different in terms of our costs and in terms of infrastructure but competitiveness is coming. We are competing with Indian, Chinese, and Turkish businessmen now. We are adding value in the business value chain and competitiveness with a business mindset. I think we will learn a lot in 2014 as well. When I said 2006, I was referring to the Ethiopian calendar; there is eight years difference between the global calendar and us. Do you think that the policy of Ethiopia’s central bank in terms of currency restrictions is dampening any economic growth and is that a benefit to conglomerates such as yourself who are involved in a variety of commodity exports? No, the challenge is there because of the strict monetary policies but I believe that challenge is necessary. Ethiopia currently exports three billion US dollars worth of commodities; twenty years ago it was less than 400 million US dollars. We import seven billion US dollars. Our economy was 100% dependent on foreign aid and loans but now that the exports are growing, the government has had to implement tight controls on the very small foreign currency resource it has. Our exports are being diversified and are increasing and we are hoping we will narrow the gap between imports and exports. When we achieve that, we are still hoping that the control on monetary policy will ease gradually. 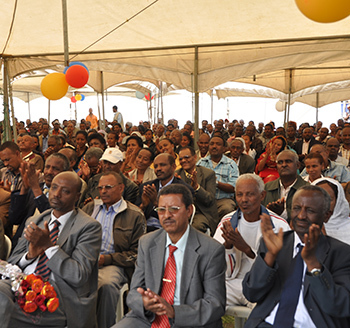 Midroc started some twenty years ago when there was no foreign investment in Ethiopia. Sheik Mohammed’s commitment to this country was because he was born and raised here and he wanted to help. Do the current forex issues help our company? No. We export and also for our inputs, we import. The lack of forex hampers our productivity and any delay on forex allocation hampers our productivity. We know our exports benefit the national hard currency resource and we are striving to make it better; however, if you look at the last two years, the commodity prices have crashed in every commodity. In Ethiopia, being dependent on commodity export only, it means that resources are diminishing with the crash. You see coffee, for instance, which is our major export. In 2011 it was $3 a pound and now it is $1 a pound, so two-thirds of it is gone. Yes, we are able to strive and survive. We are hoping commodity prices will pick up and our hard currency problem will ease. Can you give us a brief history on Midroc Group? You mentioned there is 76 subsidiaries but can you just mention some of the most profitable divisions? 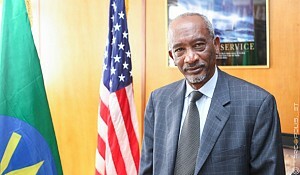 Midroc started some twenty years ago when there was no foreign investment in Ethiopia. Sheik Mohammed’s commitment to this country was because he was born and raised here and he wanted to help. 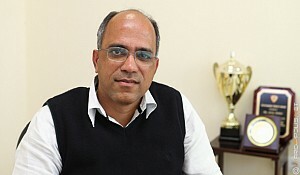 He came twenty years ago to create job opportunities. Because the free market economy was introduced, most of the government enterprises were being shut down or privatized. So there were a lot of people out of work. The main aim was to hire those people. Gradually it has expanded and we have bought so many state enterprises from the privatization agency by bidding higher than the other bidders. Midroc had invested in those enterprises heavily and that has benefited the nation in general and us as well in particular. An example of this is our gold mine. That gold mine was under government operation for decades and its contribution to national export was insignificant. Now, our gold export is either third or fourth in the general exports of Ethiopia. We export more than 200 million US dollars a year in gold. The same goes for our coffee farms; we are doubling our export volume in all state farms that we bought from privatization. That is the success for us, not just the net profit. When Midroc established the Sheraton, everyone was saying it was a crazy idea to build a luxury hotel in Ethiopia where there are no roads, electricity or good telecommunication. Sixteen years ago there was none; the only international hotel we had was the Hilton which was twenty or thirty years old. Now it is difficult to find a room in peak season and I think Midroc bet on Ethiopia at the right time. Now it has started to realize the profit for the risk it took. Can you talk to us about the tyre division? What does it represent in terms of revenue to the entire company? The tyre division doesn’t represent much in terms of revenue but the division is of strategic importance to Ethiopia. 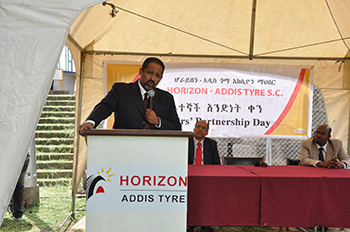 Horizon Addis Tyre Company runs a 40-year-old factory and it has a sentimental value to Ethiopians. It was a pioneer in heavy industry and there are only two factories in East Africa. The reason we invested in this tyre factory is because we want to vertically integrate it. We have a rubber plantation project to source most of the raw material locally. Ethiopia imports and spends lots of money on tyre imports. Currently we have around 25% market share so for import substitution, it plays a big role. But our goal is way beyond that. We also want to cater to the commercial market. We have three phases of investment which my general manager will elaborate on. This year we are going to launch two more projects in the tyre factory. Its current contribution is fair from a tyre industry point of view. From the general Midroc revenue aspect, it is not there yet but we know it is coming. There is a huge demand in terms of infrastructure here in Ethiopia, particularly not just road and water but also the big Renaissance Dam project. Do you have any participation in those projects? Yes, we are the largest bond purchaser in the country. 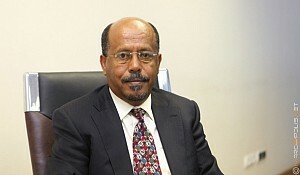 Midroc has bought 500 million birr long-term bonds from the government to support that project. This project as you know is 100% financed by Ethiopian resources. That project is also going to relieve Ethiopia and particularly Midroc for the heavy energy demands that we have because it is renewable and the hydro-electric generation cost is low. That will make Midroc very competitive, whether it’s in our tyre industry, steel industry, or other factories. So, that is something we are looking at very positively and we are looking forward to having that project completed. The project is expected to cost about 4.8 billion US dollars. Yes, around 5 billion US dollars. So it looks like Midroc may end up being the largest shareholder? We will not be a shareholder; we only bought bonds. We will get back our money once the government has enough cash available. We just bought the five year treasury bonds. This project is only owned by Ethiopian people and no particular shareholder. What are some of your larger markets in terms of commodity exports, particularly coffee? We export a lot; we export gold, coffee, tea, flower, cereals, and also some factory outputs. We export a small number of tyres and also garments. These are the areas we are involved in regarding exports. What is the revenue for the entire group so far? Midroc is not one holding company; Midroc has different companies and different companies keep different accounts. It’s not publicly traded. 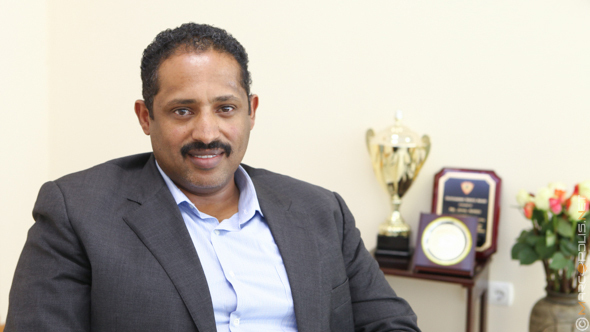 All I know is in the last twenty years, Midroc has invested over five billion US dollars in Ethiopia. What percentage growth has the holding company experienced in the last few years? In the last few years, our mining sector and our agricultural sector have been growing quickly. In the last two years we have acquired a number of state farms and their output, in some instances, doubled. So both in import substitutions and exports, our agricultural sector is growing rapidly. We also expect it to grow further because the investment we are putting in will lead to an increase in productivity. 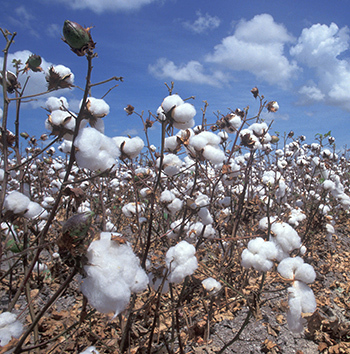 The demand for commodities even locally is on the rise. I know that leather production is a huge business; I think it’s worth over 85 million. Do you play a huge role in that industry? Yes, we have three tanneries and we buy skins and process leather gloves. We also two big shoe factories – one that was just upgraded a few months ago. We have good-quality shoes that we export to Europe and the U.S.
Do you have any plans for either spinning off a couple of divisions and possibly going public in some markets in the future? No, we want to expand more and we want to bring things in for ourselves. It’s not a publicly-traded company. Are there any other markets that you are looking at expanding into in the commodities sector in Ethiopia? There are huge projects that we currently have on our plates. We have a very big steel project and we have cooking oil projects; in every sector you are in, if you go five kilometers away, we are building a very big Westin Hotel – bigger than the Sheraton you saw. 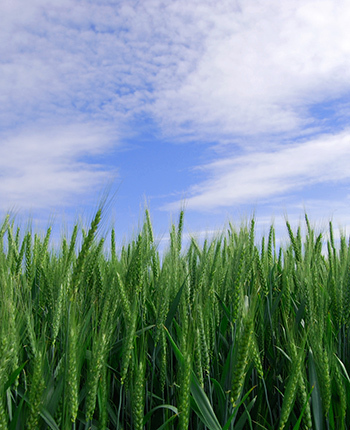 So in the farms and in the industries, we are working on different projects and looking forward to the future. Where do you want to see Midroc in the future? In the next twenty years, there is a national goal of getting to be a middle income country. We want Midroc to play the leading role when we reach that goal.